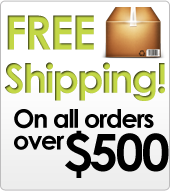 You must sign in to your wholesale account to access the wholesale portion of our website. Online retailers can sell euforia through your website and e-commerce shopping cart. Brick-and-mortar stores can stock and sell euforia with low minimum orders. Wire transfer, advance payment by check or money order. Business/personal checks must clear prior to shipping. Please send a copy of your valid resale certificate by fax or email. You may purchase our products in bulk so that you may re-package in your containers. We can provide some customization in flavor, packaging label or cake size to meet your business needs; such as adding your business identity or promotional message on the packaging. A minimum order maybe required and a fee may apply. Contact us to discuss how we can assist you.